Back then, South Australian businesses provided meaningful jobs for a predominantly working-class population centred in the suburbs of Adelaide. The motor manufacturers are long gone and other manufacturing businesses have all but disappeared. The long-promised mining boom turned out to be a fizzer, with mining investors preferring Queensland, Western Australia and the Northern Territory. And the remnants of its mineral processing industries – steel at Whyalla – lead and zinc at Port Pirie – are on life support, continually begging governments for more handouts. In short, Australia’s wind and solar capital – the place that set and duly met its own ludicrous 50% RET, resulting in the world’s highest power prices and a grid on the brink of collapse – is an economic train wreck. Somewhat ironic then, is that one of its own, Labor’s Mark Butler is hellbent on delivering the same kind of economic punishment across the entire Country. 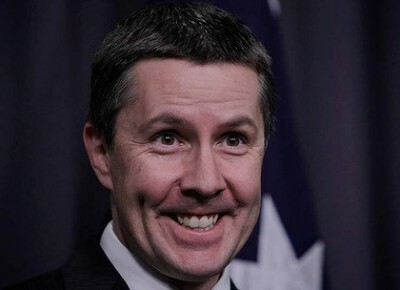 In the event that Bill Shorten snatches Federal government next May, Butler will be in a position to destroy the entire Australian economy with a 50% RET and a 45% emissions reduction target. Get ready Australia, because the South Australian experience is headed your way. Here’s Nick Cater outlining what’s in store should Labor take power. It took ABC 7.30 presenter Leigh Sales four attempts to extract a convoluted answer from opposition climate change and energy spokesman Mark Butler to the only question worth asking about Labor’s energy policy. Will it bring down prices? Watching Butler fumbling for figures — any figures — to justify his overblown renewable energy target was less than reassuring. “Well, what we’re saying,” said Butler, “is the national energy guarantee is still the best way to resolve this energy crisis.” The NEG would reduce power prices “in the order of $550”, he said. The Energy Security Board has said so. The unforgiving television current affairs format does not allow the presenter to pick up her iPhone and fact-check on the run. Which was fortunate for Butler, as he was wrong. The board predicts the NEG would save the average energy user $150, not $550, a year. Not that it matters, since it is an apples and pears comparison. The modelling is based on an assumed RET of 36.1 per cent in 2030, not the 50 per cent threatened by Labor. Forget Paris. 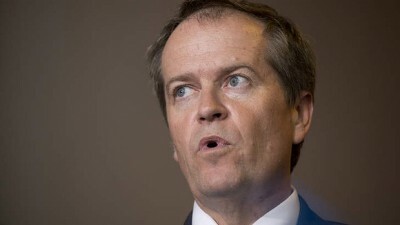 The biggest threat to the energy economy is not the UN but Bill Shorten. Regardless of what one may think about the Paris Agreement, the pain needed to achieve it has already been spent. Billions of dollars in subsidies have been sunk into wind and solar farms ensuring that we will meet our target for the energy sector well ahead of schedule. We are odds-on to meet our general target as well, thanks in no small measure to the Abbott government’s Direct Action initiative, a program that has abated carbon at a fraction of the price of Labor’s renewable energy schemes, while having the practical benefit of improving the soil. Australia also holds 120 million tonnes in credit after exceeding our Kyoto commitment. That too should be counted against our Paris commitments. To hair-shirt-wearing climate change obsessives, however, too much pain is barely enough. The Opposition Leader’s renewable energy plan indulges them by chasing a theoretical target far ahead of our Paris commitments, blind to economic and technological constraints. The science is in on the economics of RETs, whatever the denialists may say. The only way to persuade reluctant investors to sink money into immature technologies such as wind and solar is to offer them bribes — or subsidies, as economists prefer to call them. The more renewable energy you want forced into the grid, the higher the subsidy. Simple really. That was the advice to Kevin Rudd a decade ago from the Productivity Commission. It warned that his 20 per cent renewable target would lead to higher electricity prices and put out the welcome mat for rent-seekers. The same advice was given by Rudd’s hand-picked climate change adviser Ross Garnaut, who warned in 2008 that an aggressive target would have “a high impact on retail electricity prices”. “What is the cost?” he asked in his report. “Who will bear the cost? What are the long-term consequences?” Shorten is no more eager to consider these crucial questions than Rudd. He prefers to maintain the convenient fiction that “big polluters” will pick up the tab for his vanity energy policy. Julia Gillard was frank at least about the cost of renewable energy, and proposed slugging us upfront with a carbon tax. She was open too about the pain it would cause to families and businesses, proposing that revenue collected would be given away to help them cope with higher prices. Subsidies are a blunt tool capable of causing serious damage. They assume that governments know better than markets. And someone has to pay for them. Gillard’s subsidies were explicit; Shorten’s will be implicit, yet whether we pay them as taxpayers or customers the burden is the same. The shortfall of baseload capacity is becoming critical. Under a 50 per cent RET it will get worse. We can kiss goodbye to five more coal and gas plants at least: Liddell and Vales Point in NSW, Yallourn in Victoria, Gladstone C in Queensland and Torrens ­Island B in South Australia, which between them provide 15 per cent of generating capacity in the ­national energy market. Pressure will be applied beyond the energy sector since Labor’s proposed 45 per cent emissions reduction target will not be achieved through energy alone, even with a 50 per cent RET. Farmers will face land-use restrictions and be held responsible for the methane and nitrous oxide flatulence from their livestock. There will be pressure to put emission limits on cars as stringent as those in Europe, where the 2021 benchmark has been set at 95g/km, less than half the output of, say, a Ford Territory. The haphazard measures announced by Labor last week suggest it has not considered the enormity of the challenge its target will create, nor the extent of the damage to the economy. The plan bears the hallmark of Ruddism at its worst, a collection of half-baked ideals thrown on a whiteboard with no appetite for anything as helpful as a cost-benefit study. It is the populism of the Left writ large: a simplistic solution to an ill-defined challenge in which economic costs are rarely articulated, benefits assumed and opponents are declared despicable. Having thumped the energy market to within an inch of its life with RET mark one, Shorten now proposes to go in with the boot. Capital allocation will be grossly distorted, rent-seekers will be rewarded, cynical investors will make windfall profits at the expense of mums and dads, and those rich enough to invest in solar panels will be given subsidised batteries in a blatant example of middle-class welfare. Conservatives within the Liberal Party who have been fighting a rearguard action against the Paris Agreement, for understandable reasons, are realising that the game has changed. The battle for Paris is over, as Churchill might have said. The battle for Australia is about to begin. Butler helped wreck SA, now he’s coming for yours. SA in earlier decades depended upon much more than cheap and plentiful electricity. Protection, always a double-edged sword, at best was but one element. As important as anything else was the principal maintained by Sir Thomas Playford as Premier, was a ten per cent. differential between SA and the eastern states in costs, most notably wages and salaries. This overcame the problem and inherent cost of distance from eastern and other markets. And government was but a fraction of its current monster size and design. SA also possessed limited credibility as a democracy, the LCL depending heavily upon a long-lasting gerrymander. Then again, SA also had an education system that worked quite well, later wrecked because it wasn’t perfect. And now government has blown up the power station, along with the health and education systems. The young had best leave while they can. Even so, some people are making pots of money, just how I have no idea—but I doubt it’s very constructive, let alone productive. 12 years until climate Armageddon and the point of no return? Make of that what you will, but by my calculations, that`s 2 years of fast tracked research into locating next generation nuclear power facilities for Australia. And 10 years to build them! Many wind farms will have reached their early retirement by then. So this will cast doubts over whether or not it is even worth repowering a site. There will be a genuine choice. More unreliable forms of ‘ruinable’ energy, or new generation 24/7 nuclear energy that is CO2 free and will power forward for the next 60 years. A source that will help power suburban electric trains, Very Fast Trains, trams, vehicles, hospitals, schools, us, and planes. Yes planes! The first ‘flyway’ air route being considered for electric planes will most likely be between Amsterdam and London (Australian Aviation Magazine). Ruinables certainly ain’t going to be able to power this lot. Add in population growth, and ruinables start to make less and less sense. The rally cry for 100% ruinables is quite simply… stupid! It’s a no-brainer to me. Next generation base load nuclear power is the way forward. Australia was heading down the renewables road with the Liberal party. It’ll head that way, just a little faster, under the Labor party. There was, and is no other choice. Angus Taylor may be able to throw some warnings up, but a hiatus on the opposition bench might enable the Liberal party to clear out the sympathetic greens after the next election and actually get to see what impact its myopic policies were really going to achieve. The party leaders better be cautious though. When the economy crashes, the angry voter is going to be searching for someone to lead the country back to some semblance of sanity. If the Liberal party isn’t ready, the opportunity will be there for somebody else. And who could be that “somebody else”? It could be conservative politicians, but it could also just as easily be socialist politicians arguing that it’s capitalism that has caused the failure and a shift towards more socialism would be good for the country. If the conservatives haven’t got their act together, the socialists will be appealing. Meanwhile in another universe where the pixie dust does blow, I see that CEDA (Commitee for the economic development of Australia) had a presentation at the Park Hyatt in Melbourne on Wed Nov 28th. The list of attendees was like a roll call for zealots and rent seekers alike. Why I even saw some former honchos from Senvion’s ill feted Ceres project here on SA’s Yorke Peninsula. After a decade of failed attempts they have moved on to bigger and better projects. In some ways they are like my single mate Dave.